Gene Simmons, fronter and bassist for KISS, sent a special message to the band's longtime fans in celebration of the group's 40th anniversary. The God of Thunder said that the band formed on January 30, 1973, following guitarist Paul Stanley and his decision to quit the group Wicked Lester and form their own group. "Wicked Lester had just finished its album," he said. "Though we had a real recording contract with a major label, and though we had finished an entire album, we were depressed - it just wasn't what we had envisioned. We tried firing the other three guys but some wouldn't leave. So we quit." Stanley added that his "dream from the start was five years of glory with KISS," adding that the last 40 years have been more than he could have hoped. 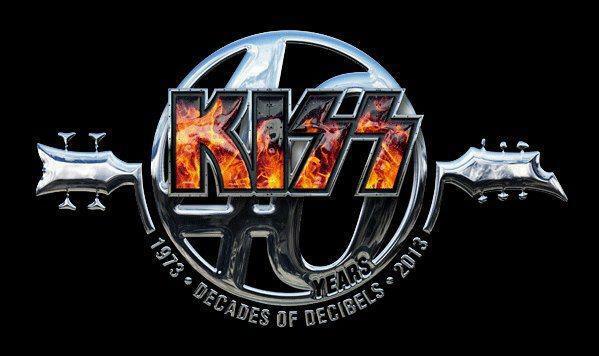 The band also released a new logo, featuring the famous KISS font with the number 40 behind it, and the inscription "Decades of Decibles."